•There was a dramatic jump in their usage, with figures more than doubling from the previous quarter. From July to September last year, 10,265 people were stopped and searched under S44 in the Six Counties. •Stop and search powers continue to be invoked a vastly disproportionate number of times in nationalist areas. The constituency with the highest number of people stopped and searched during the July-September quarter was Foyle, with 2,203. While S44 stop and search powers were used 1,305 times in Strabane during the quarter, they were used only once in Larne, a town of around equal population. •The use of stop and search continues to be demonstrably ineffective by the PSNI’s own criteria. Of the more than 10,000 people stopped and searched during the quarter, only 39 were subsequently arrested. •The power to search a person’s clothing and belongings in public could cause humiliation and embarrassment and was a violation of Article 8 of the Convention on Human Rights which guarantees the right to respect for private life. •The fact that the decision to stop and search somebody was “based exclusively on the ‘hunch’ or ‘professional intuition’ of the police officer” meant there was a “clear risk of arbitrariness in granting such broad discretion” to a police officer. •The judges were concerned by the way the powers are authorised. There is no requirement that the powers be considered “necessary” – only “expedient”. •The absence of any obligation on police officer to show a reasonable suspicion “made it almost impossible to prove that the power had been improperly exercised”. FOLLOWING the historic decision by the Sinn Féin Ard Fheis in January 2007 to critically engage with the policing structures in the Six Counties, MLAs Alex Maskey, Martina Anderson and Daithí McKay took up their seats on the Policing Board just over a year ago. Speaking to An Phoblacht’s Emma Clancy this week, Alex Maskey said that there has been both progress achieved and serious challenges encountered in the effort to transform policing through this engagement. The ‘new beginning for policing’ outlined in the Good Friday Agreement and then the hard-won legislation for the human rights-based reforms called for by the Patten Report were two key developments in the struggle to change a partisan, repressive force into an acceptable civic policing service. Maskey said that a key challenge is to ensure that the progress in legislation must now be implemented on the ground. He outlined to An Phoblacht the work that Sinn Féin members have been doing on the Policing Board in order to try to achieve the goals set out collectively out by the party at the 2007 Extraordinary Ard Fheis, the challenges they face and the necessity of devolution of policing and justice powers from Westminster. The key role of the Policing Board is to monitor the service and hold it to account, as well as negotiating the PSNI’s plans and budgets. It also comprises several sub-committees which oversee various aspects of the functioning of the police. Alex Maskey is the chair of the Community Engagement Committee and is leading the effort to build a new policing model where communities are consulted, have input into shaping policing and monitor the implementation of PSNI/neighbourhood goals. He explained that among the range of the key issues Sinn Féin is playing a leading role in are community engagement, human rights, personnel, delivery of service – ie crime prevention and detection rates – and estate management. Foyle MLA Martina Anderson has been working on the board’s Human Rights Committee which aims to ensure that all aspects of policing are compliant with human rights legislation. North Antrim MLA Daithí McKay is part of the Personnel Committee and a key issue he is involved in is trying to ensure that all communities have proper representation in each area of the PSNI. Gerry O’Hara is serving on the board as an independent member and, among other issues, he has been campaigning on Irish-language rights. Maskey described the role of the Community Engagement Committee as being to oversee the development of the board’s engagement with the public and to target particular communities and groups with specific needs. A crucial plank in the democratisation of policing is the district policing partnerships (DPPs) and the committee Maskey heads is overseeing their development. The DPPs mirror the district councils across the North and they are the key forum for community involvement – through public meetings and other mechanisms – in developing local and board policing plans and in monitoring the implementation of these plans and performance of the police. Maskey said the DPPs have become much more representative since Sinn Féin’s decision to enter policing structures and that people are now asking the tough questions never raised previously. “As the committee chair, part of my role is to ensure that the DPPs receive proper resourcing. Part of this is training and providing education for DPP members in human rights legislation and standards in order that the DPPs may be better equipped to monitor the police in a more robust and informed way. “In this way, we’re pushing an agenda of enabling the DPPs to become more assertive and efficient. He said Sinn Féin has successfully improved the accountability of Chief Constable Hugh Orde and other senior officers by organising special public meetings with an open format where people can directly raise questions from the floor. 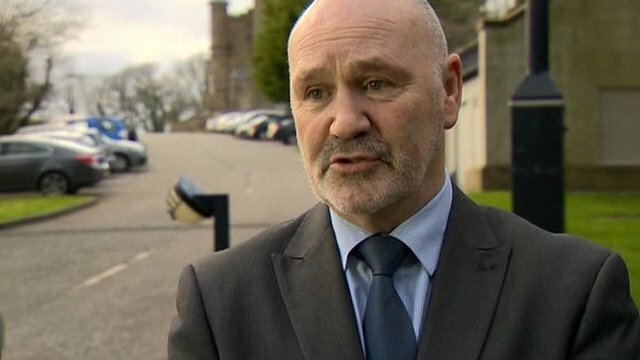 “Our focus in the next period, including in the next policing budget and policing plan, is to significantly develop the neighbourhood policing model,” Maskey said. “We view this democratic input as essential for transforming the police into a fair public service for all, as well as for practically solving the problems plaguing many communities. 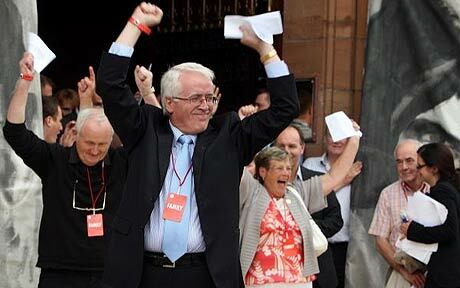 He said Sinn Féin also wants to see the PSNI use its resources more efficiently. “As part of the process of demilitarisation, we want to see up to 40 redundant, barrack-like police stations shut down. They are not only a drain on resources but are essentially a barrier to the development of a constructive relationship between the PSNI and local communities. Who wants to approach one of these intimidatory forts to report a crime? A key issue for local communities across the North that has been raised consistently on the DPPs is community safety and anti-social behaviour. “Anti-social behaviour can be totally disempowering for a community, especially when the problem and perpetrators are identified to police by the community and no action is taken. It can grow from being an annoyance into serious crime,” Maskey said. He explained that Sinn Féin takes a holistic approach to anti-social behaviour. “We realise that a large proportion of anti-social crime is carried out by alienated young people who have no hope and feel alienated from their communities. “So we take the approach where we aim to combine an effective community-led policing service with a very progressive social and economic agenda which aims to overcome the poverty and marginalisation which is the major cause of such problems. We work to do everything we can to provide youth services, decent housing and employment for people. Maskey pointed to the successful initiatives taken by activists in west Belfast such as the Safer Neighbourhood Forums which have effectively reduced crime and anti-social behaviour through a focused working relationship with the PSNI and statutory agencies. He said that these neighbourhood-led initiatives showed the way forward for community-based policing, where organised communities have the capacity to identify the problems in the area and with the policing service and to communicate these to the PSNI in an ongoing way. “Not every neighbourhood has this capacity but republicans need to lead the way in developing and generalising successful models of democratic policing. We need to know what we want to demand when we go into negotiations in the Policing Board and we have to be leading on the ground in order to know the needs of the people. According to Maskey, community engagement structures are crucial not only for shaping the direction and policies of the PSNI. Bodies such as the DPP can also provide communities with the space where they can voice demands for truth on the role of police in Britain’s dirty war against Irish republicans. The 1992 RUC assassination of unarmed IRA Volunteer Pearse Jordan in west Belfast has consistently been raised in the Belfast DPP and on the Policing Board in support of the Jordan family’s battle for the truth about the state murder of their son. In the Lisburn DPP, Marian Walsh, mother of teenager Damien Walsh – who was killed in a UDA sectarian attack in 1993 – recently confronted senior police officers about the vast amount of evidence of RUC collusion in her son’s murder. Maskey said: “It is essential for the PSNI to face up to the ugly past of policing in the Six Counties so that the families of victims may know the truth, so that those responsible for these crimes be held accountable and these elements be removed from the PSNI, and so that a new relationship can be built between the police and the nationalist people. 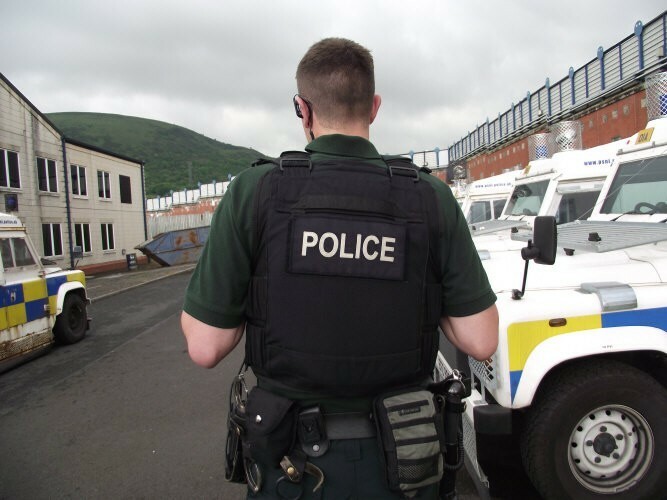 “At the moment too many within the PSNI are continuing to play an obstructive role on these issues, which shows the need for a serious change of culture at all levels of the organisation. 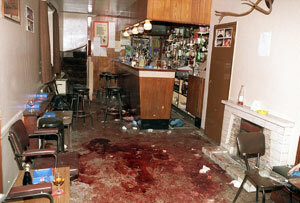 Maskey said that Sinn Féin is campaigning strongly against the use of lethal weapons by the PSNI. Sinn Féin has been the only party on the Policing Board to vote against the motion endorsing the use of 50,000-volt Taser guns in the North and Martina Anderson has voiced the party’s rejection of the deadly weapon, pointing out that while they are classified as ‘non-lethal’, they are responsible for the deaths of 300 people worldwide. The United Nations has recently described the use of Taser guns as a form of torture that can be lethal. The PSNI has already used the weapon against a man in Derry who had to be immediately hospitalised. Anderson described the board’s decision to endorse the deployment as “shameful” and said it was an attempt to undermine the judicial process as there is currently a judicial review of the deployment of the weapons underway. “Over the past year on the Policing Board, I’ve become even more aware just how inefficient the system is in terms of different bodies not even communicating with each other. “As the chair of the Community Engagement Committee I’ve convened meetings between the PSNI and other sections and agencies of the Criminal Justice System and it’s been very illuminating as to why, in a practical sense, we need the transfer of powers: we need the system to be joined up. He said that the vast majority of people involved in policing realise this. “Even the unionist politicians who are stalling on delivering their commitments from St Andrew’s acknowledge that devolution has to happen and that it will be beneficial to the entire population of the Six Counties,” Maskey said. “Their opposition has absolutely nothing to do with the development of the policing and justice system but with a narrow political agenda of resisting change and democracy. “The most important aspect of devolution of policing and justice is, of course, the question of democracy and accountability. “This would be a significant step forward in that it would be the first time that people in the North could actually be empowered to democratically oversee the provision of the policing service in a meaningful way. Maskey continued: “If you compare the justice system in some countries where they actually elect senior judges, for instance, you realise just how little say people in the North have over what is a major part of governance. “Sinn Féin won a mandate from the nationalist community for a strategy of critical engagement with the policing structures,” Maskey explained. “But as I’ve said to Hugh Orde, the nationalist people didn’t vote for the PSNI: they voted for Sinn Féin’s ability to change it. “This really should not be taken for granted by the PSNI. I’m not confident that this fact has sunk in at the top management levels or that it has been translated through the ranks. “We’re talking about a history of the brutalisation and intimidation of the nationalist people in the North – the police have to earn our acceptance and trust. And they’ll have to work much harder to do this. “As a party, Sinn Féin is acutely conscious that our mandate is one for delivering deep-going change that makes a meaningful difference to communities across the North and consigns partisan, political policing to history.